Omega Xl - BUYER BEWARE, Credit Card held hostage! 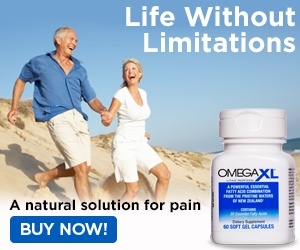 I bought the omegaxl promotion containing 2 bottles to try because of back & neck pain. After I received the product, I realized the monthly refills costing $66+ were unaffordable. I called the company well in advance of the next shipment to cancel. The woman whose name was Cecilia refused to listen to any thing I said. She just kept talking over me, insisting that I should stay with the product despite my pleas to cancel. I actually put the woman on speaker so my husband could hear her rantings. Finally I put the phone by the toilet & FLUSHED! She still did not stop talking! I had to threaten to cancel my credit card. In all the years I have been purchasing products, never have I been treated so poorly. At the end of her rant, she said she would cancel my future shipments. Of course I did not believe her & called my credit card company immediately to cancel my card. Well......guess what, 2 weeks later I received another bottle of omega f'king xl! Luckily my credit company is protecting me & is denying any future charges from them. Review #381288 is a subjective opinion of User381288. Agree totally. Asked the company 4 times to cancel and not do anymore automatic fills or make charges to my credit card. They did it again today, 31 Oct 13. Cancelled my credit card and will get a new one, but this snake oil sales will not get it. I'm out more money for a product that doesn't work at all. Another lesson learned. watch the commercial to the end, I truly thought the host was actually taking the supplement himself, but it was a PAID commercial. that kind of price, my doctor can prescribe something similar if I need it and I would only have to pay a $5 fee as I am a Senior citizen.